After 5 days, here’s a summary of the itinerary for the Switzerland leg of the Europe trip as well as estimate costs. (Note: this itinerary shows my original plan minus the detour we took to visit a colleague in Lausanne). So here in this itinerary you have an extra day to see more of Murren and it’s surrounding areas. Day 2: go up to Schilthorn and short walks around the area. 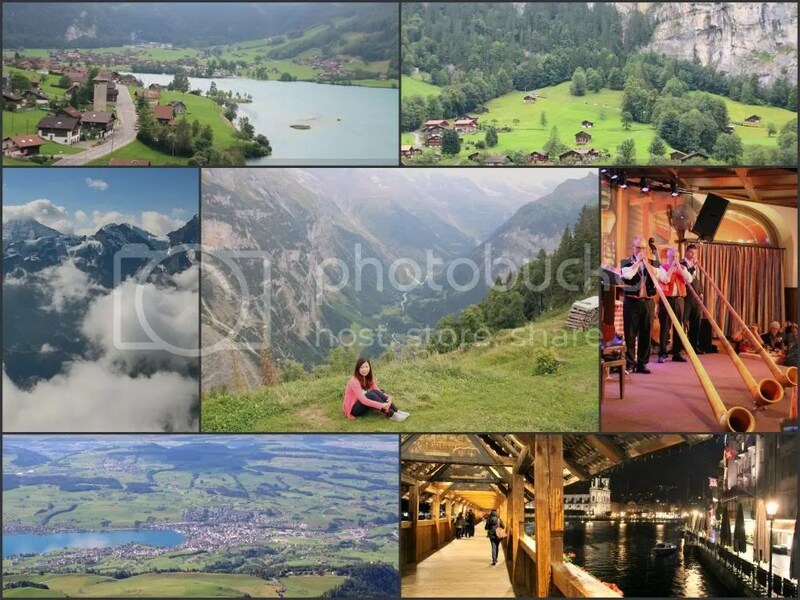 Can also fit in here exploring nearby towns like Gimmelwald, Grindelwald or Wengen. Day 4: train ride Murren to Lucerne around 3 hours long. Explore the old town & Swiss dinner and folkshow. Earlier booking for the long legs of our trip (going to Murren and from Lucerne going to Italy) had huge discounts. So if you know what your plan is, book early. A lot of the places actually accept payment in Euros.. wish I knew that beforehand so I wouldn’t have converted that many Euros since I was heading to Italy after. If you have the stamina to do trekking, you can avoid the cost of the cable cars for the rides to get to some of the surrounding places in Murren. I don’t know much about branded watches, but my friend said the prices of Swiss watches are really cheaper. Plus no tax for tourists. The tricky part is since we were travelling by train, we needed to ask the conductor to stamp our forms on our train ride exiting of Switzerland to ensure our purchases are tax free. The form needs to be dropped off by mail. Cost Summary: This is the cost per person for a group of 3 people. Food is not included, and transportation costs may be different depending on how much walking you prefer to do. Transportation: Murren to Lucerne = 49.20 CHF. I think we got a discount on this as well since we booked early. Sights: Mt Rigi daytrip (cruise and railway rides included) = around 109 CHF. Can’t remember the exact price, we bought it from Hotel Alpha which supposedly offered a discounted price. Again, this is covered by Swiss half fare pass so further discount if you have the pass. Sights: dinner + Swiss folk show in Stadkeller = around 70+ CHF. They have dinner packages here which are around that price. What we did though since the servings are quite big, we ordered a la carte instead and shared it among ourselves. The price of that plus the show was just around 50 CHF per person. Other food: For our case the highest we spent on food was the fondue which was around 50+ CHF per person. On average meals in mid-range restaurants are 30-40 CHF. And for cheap food (meaning bought from the supermarket) it would be less than 20 CHF per person. This caps off the Switzerland leg! Next up.. ITALY!!! This entry was posted in Europe, World Travel and tagged Europe, holiday, itinerary, lucerne, murren, switzerland, travel by msozpinay. Bookmark the permalink.